there simply is no better device for a daily driver. not even the iphone 6 can match it feature for feature. My stop watch was awake and me sleeping. 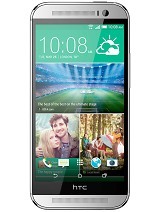 rtf, 12 Sep 2014Does htc one m8 still have beats audio?No my friend. HTC now comes with Boom sound. Beats audio is taken over by HTC. 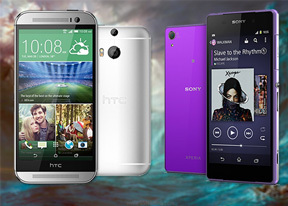 Does htc one m8 still have beats audio? AnonD-116479, 12 Sep 2014Silly me, sorry I mentioned earlier 720p videos @120 fps that was for slow motion videos only.... moreThanks,techno j.
AnonD-116479, 12 Sep 2014Silly me, sorry I mentioned earlier 720p videos @120 fps that was for slow motion videos only.... moreActually the slow motion video is real 120 fps. Just play it at 4x speed and you get real 720p@120 fps at regular motion speed. AnonD-119255, 11 Sep 2014Hey techno j I am not found 720p videos @120 fps in phone settings.Silly me, sorry I mentioned earlier 720p videos @120 fps that was for slow motion videos only. Generally, you can shoot 720p & 1080p videos maximum @60 fps. There is no camera in the world for shoot 720p & 1080p videos @120 fps. This phone was great! I've been using it for almost 3 months and there's no problem when it comes to performance. I love it! AnonD-116479, 11 Sep 2014You can shoot 720p videos @120 fps, whereas 1080p videos @60 fps. That's normal, even DSLR cam... moreHey techno j I am not found 720p videos @120 fps in phone settings. AnonD-12986, 10 Sep 2014There will be no "m9" the next best android phone will be aria and it wont be out fo... moreLooks better than apple 6. AnonD-119255, 10 Sep 2014I am purchasing htc m8 amber gold,its look better than my old htc one max.gsmrena says m8 hd v... moreYou can shoot 720p videos @120 fps, whereas 1080p videos @60 fps. That's normal, even DSLR cameras capable of shooting 1080p videos @30 fps. I have never seen a camera which can shoot 1080p videos @120 fps. You don't have to confuse about it. I am purchasing htc m8 amber gold,its look better than my old htc one max.gsmrena says m8 hd video recording is120fps,but my m8 hd recording only 60 fps.any solution for htc m8 lover,help me. There will be no "m9" the next best android phone will be aria and it wont be out for another 2+ years. 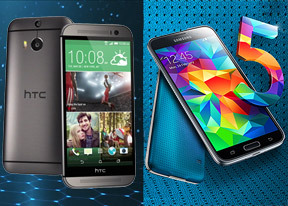 The HTC One M8 is the best phone with the best build quality available. Get "i"Phone out of your mind. Apple was innovative when they dropped the first iPhone but now they are just grasping at straws. And for those of you who are hell bent on the fingerprint readers there is software available now that will let you use the first and second camera combined on the back as a fingerprint reader and it works fantastically well and smooth as sild. Much better than the iPhone. Its called ice unlock or ice security unlock or something just look it up. M8 is the king right now especially the gsm version which can easily be changed into the harman kardon eddition with full use of clarify. AnonD-245569, 10 Sep 2014Just saw the pics of new iPhone 6 and 6 plus.... 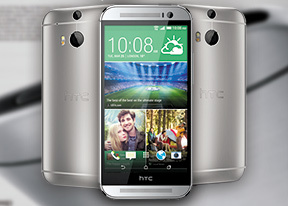 They have copied the design of HTC M8... What... moreThe iPhone 6 and 6 Plus didn't impress me much at all. The iPhone 6 has a 750p display, but expensive and 6 Plus also a worthless phablet, I would rather buy a Note 4. I can't say much about the new A8 MOTION COPROCESSOR. I hope it would be great unlike ordinary Snapdragons. Overall, I'm not impressed at iPhone 6 or 6 Plus. I'm waiting for a positive review of the Note 4 Exynos version. I highly doubt whether the Exynos version of Note 4 will available in my country. 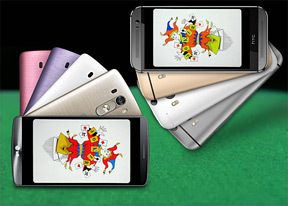 AnonD-140582, 09 Sep 2014Dear all HTC One M8 lovers, I just up grade my HTC One M8 to 4.4.3. After i up grade, i fo... moreI never faced any issue with 4.3.3 update. Just try to reset the phone. 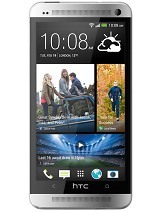 If the issue still occurs, just go to the HTC service centre. AnonD-260152, 08 Sep 2014im defenitely waiting for the m9...thatl be the phone of the year if they manage to have a go... moreThey can release M9 now if they want (hint hint) they don't have to wait till March,,,it would be good just in time for holidays season. Just saw the pics of new iPhone 6 and 6 plus.... 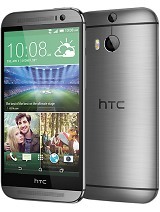 They have copied the design of HTC M8... What's your take guys..